Former British Prime Minister and current unpunished war criminal Tony Blair has been on a roll lately. On January 21, 2011, Blair revealed to the Iraq Inquiry, led by Sir John Chilcot, that he felt no personal responsibility for the millions of lives affected and destroyed by the 2003 invasion and subsequent occupation of Iraq. "I regret deeply and profoundly the loss of life, whether from our own armed forces, those of other nations, the civilians who helped people in Iraq or the Iraqis themselves," Blair told the panel, as if the majority of the dead had lost their lives due to a smallpox outbreak or polar bear attack rather than an unprovoked, illegal, calculated, and devastating military assault. As a result of his belief that the "calculus of risk" regarding threats posed by so-called rogue states had been forever changed by the attacks of September 11, 2001, Blair made the decision in 2002 to stand "shoulder to shoulder" with the Bush administration's revenge fantasies and imperial designs on the Middle East (including being "up for" the invasion and overthrow of Iraq). As of December 2008, the Iraqi Ministry of Health and Forensic Medicine reported that, due to the invasion and occupation led by US and UK forces, two and a half million Iraqis had been killed. Additionally, various Iraqi ministries have reported that, since 2003, over four million Iraqi children have been orphaned, over a million Iraqi women have been widowed, four and a half million Iraqi refugees have fled the country, and there are two and a half million Iraqi refugees displaced inside Iraq. According to the Iraqi Ministry of Health, there were 114 registered cases of AIDS in Iraq before the occupation; just under five years later, that number had skyrocketed to over 76,000 registered cases. Blair, speaking before the Chilcot inquiry in January, also took the opportunity to passionately fear-monger about Iran and urge a military attack on that country, proving beyond any doubt that he had learned nothing from the past decade of Western aggression in the Middle East and remains a bloodthirsty militarist. 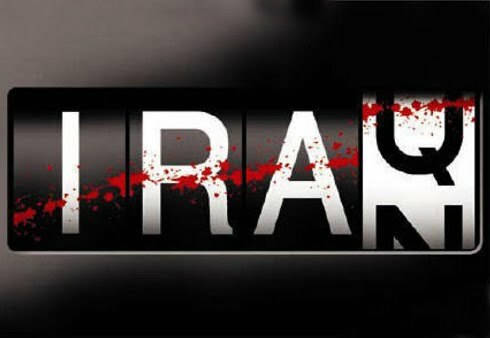 In his testimony, Blair deemed Iran "a looming and coming challenge" for the West, warned that its supposedly expansive (and growing) "impact and influence" in the region and the world was "negative [and] destabilizing," claimed Iran "is supportive of terrorist groups," stifling "modernization" of the Middle East and "imped[ing] progress in the Middle East peace process," echoing almost exactly the same false accusations he leveled against Iraq almost a decade ago. 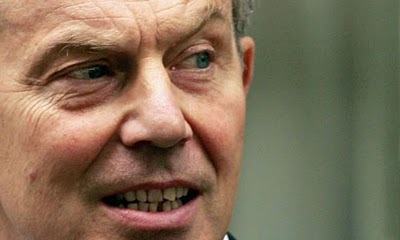 In a moment of unbridled megalomania and myopia, Blair dismissed any notion that there might be consequences to foreign policy decisions, demanding that "the West has got to get out of what I think is this wretched policy, or posture, of apology for believing that we are causing what the Iranians are doing, or what these extremists are doing. The fact is we are not." Rather, Blair explained (in true Netanyahuesque fashion), "The fact is they are doing it because they disagree fundamentally with our way of life and they will carry on doing it unless they are met with the requisite determination and, if necessary, force." 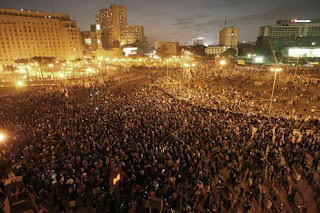 Last week, Blair was asked about the popular uprising in Egypt during an interview on BBC Radio 4. He made clear his distaste for Arab self-determination and revolution, especially if the result doesn't serve Western and Israeli interests, saying, "When you're actually looking at how this evolution takes place, you are aware that it's got to place in a stable way." Blair also suggested that Arab human rights and freedoms sometimes have to take a backseat to "stability," since world leaders (like his former self) are all "in the difficult position" of balancing the desire "to see change" in authoritarian regimes supported by the West with having that change "happen in a way that keeps the region together." And now, as protests across Egypt continue and when the days of Hosni Mubarak are surely numbered, Blair is back, explaining why he stands behind his old dictator friend and is wary of allowing Arabs to control their own countries, governments, and lives. Speaking to the moronic Piers Morgan on CNN Tuesday evening, Blair described Mubarak as "immensely courageous and a force for good" in the region. It became immediately apparent that Blair was basing his assessment of the 82-year-old Egyptian tyrant on one single criterion: his vital cooperation with Israel (and its Western financiers and diplomatic protectors) to allow the continued war crimes against the Palestinian people and maintain the brutal blockade and suffocation of Gaza. "Where you stand on him depends on whether you've worked with him from the outside or on the inside," Blair said of Mubarak. "I've worked with him on the Middle East peace process between the Israelis and the Palestinians so this is somebody I'm constantly in contact with and working with." Blair, unapologetic as ever about supporting an authoritarian regime that oppressed and repressed its citizenry for decades, continued, "I don't think the West should be the slightest bit embarrassed about the fact that it's been working with Mubarak over the peace process but at the same time it's been urging change in Egypt." The former Prime Minister also took offense to Morgan's characterization of Mubarak as a "pretty ruthless" dictator who has "led a pretty unpleasant regime" and who, according to West, is "considered to be acceptable," as opposed someone like Saddam Hussein. "Well, first of all, let's just be very clear, Piers. Hosni Mubarak is not Saddam Hussein," Blair retorted, going on to explain how the Egyptian autocrat "has presided over an Egyptian economy that's something like doubled in the last decade," which apparently makes human rights abuses irrelevant. When Morgan asked why he was so hesitant to criticize the "totalitarian" Mubarak, Blair resorted to blatant Orientalism. "There's nothing that is going to be done now that is going to put this particular genie back in the bottle," he said before conceding that "there's going to be change." Blair's fear of Islam and blatant distrust of Muslims was never more apparent than when he warned against allowing Egyptians to choose their leaders freely, instead advocating close supervision, and perhaps even manipulation, by the West. "It's perfectly natural," Blair claimed, "for the American administration, the British and others and people like myself to say, yes, we have been to have change, that change should result in free and fair elections, but it's a process of transition that's got to be managed." Due to Blair's waking nightmare that "Islamist groups" might "take the situation in a completely different direction," he said, "it's perfectly natural for those of us from the outside to want to support this movement for change at the same time as saying let's be careful about this and make sure that happens in this process of change is something that ends in free and fair elections and a democratic system of government and it doesn't get taken over or channeled in to a different direction that is at odds with what the people of Egypt want," he said. By "what the people of Egypt want," Blair obviously meant what leaders in the United States, Western Europe, and Israel want. The real menace for Blair is what he sees as the looming threat of Egypt's Muslim Brotherhood winning popular elections (the word "Muslim" is supposed to tip us off that we should be scared). This concern is shared by Israeli leaders, including Prime Minister Netanyahu, who had warned a day earlier that "in a situation of chaos, an organized Islamist body can seize control of a country. It happened in Iran. It happened in other instances." According to Blair, Arabs can't always be counted on to elect those the West approves of and therefore must be guided down the right path by benevolent white people who actually understand how democracy works and will guarantee the continued regional hegemony of Israel and its Western patrons. Even though Blair stated that there might not be "a majority for the Muslim Brotherhood in Egypt," he warned that "what you've got to watch is that they are extremely well-organized and well-funded whereas those people who are out on the street at the moment, many of them will be extremely well-intentioned people, but they're not organized in political parties yet. So one of the issues in the transition is to give time for those political parties to get themselves properly organized." Blair elaborated, "In particular I think the key challenge for us is how do we help partner this process of change and help manage it in such a way that what comes out of it is open-minded, fair, democratic government." And by that he, of course, meant pro-Israel. Blair explicitly said as much when he opined on the potential outcome of the current uprising in Egypt. "Whether it turns out to be better for Israel, better for the region, we just can't tell at the moment," he said. 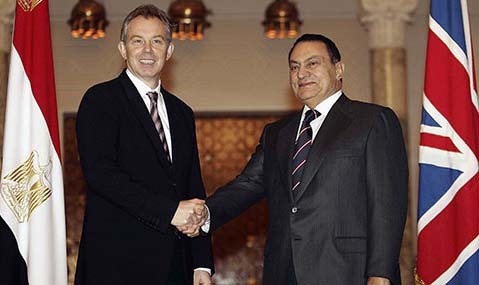 Nevertheless, Blair admitted that, despite his disappointment, Mubarak's time was up and change was indeed coming to Egypt and that "America and Europe...should be trying to partner this process of change." "People want a different system of government," he said early in the interview. "They're going to get it." Hopefully, what Blair insists Egyptians are "going to get" won't resemble what he gave the long-suffering people of Iraq, but if his recent statements about Iran and his affinity for Western-imposed regime change in the region are any indication, there's really no telling. Appointing Blair as the Middle East Envoy was the biggest joke and the worst travesty of justice ever! There will never be peace in the Middle East as long as he is allowed to spout off his barmy rhetoric! We are not stupid! Who does he think he is fooling? He is a war-mongerer and should be kept OUT of the Middle East and any negotiations there. As long as he is supporting dictators in Israel, Egypt and other ME countries, there will never be a peaceful solution. Get him out! The Hague beckons! Trial for War Crimes! No more wars in the name of the UK and its bed-fellow, the US! For decades we have been hearing our politicians pontificate about 'democracy' but now we find out that just as we have had a 'nuclear umbrella' we also have a 'police state umbrella' that is 'essential to our security'. We have to keep all these millions of people in their police state cages because if they get loose they might do something about our stealing their resources, suppressing their rights, and especially harm Israel whose cruelty and destructiveness must never be restrained under any circumstances otherwise a holocaust will surely befall us.